For those people who are wondering on how to play pokies, here are some useful ideas on how to become an expert in this game. 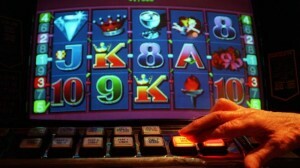 Slot machine and pokies machine are almost the same. Both of them have an acceptor that will be used for inserting money which will start the game. Also, they have different buttons that a player can use which are situated below the screen. These buttons are used to increase or decrease the level of the game and most of the buttons are essential in playing the game. There are no tricks and magic that can provide you a guaranteed win every time. Each player must do everything to win. Here, winning will be hard to achieve for an amateur player. The buttons that can be found in every pokies may appear different from others but all the buttons have similar functions that can be used in the game. Also, the buttons will show useful information that will tell you how and when you can use them. There are two rows of buttons that can be found on the screen. Both the top and the bottom row of buttons have different uses. For example, the top row of buttons may include collect button and additional five buttons that have different sets of uses. When the collect button is pushed, it will allow you to collect your money in the slot machine. Otherwise, it can also activate the coin acceptor that will allow you to play the game again. The other five buttons beside the collect button is used for different kinds of bet that can be used in every round. Depending on how much you want to bet per line, the buttons will not change its selected bet until a new choice has been made. Also, the four sets of buttons that are used to place bet have other functions that are related in the gamble features of the game. The screen will display a suit of card above the screen. This indicates which buttons you will need to press in selecting the best suit. The bottom row of buttons has a different set of functions which can also be used in the game. The first button that can be found below has basically two features called the Take Win Features and reverse. If you press the take win features, you can claim your win in every gamble. It can also be used to stop the amount of prize you got and it will be automatically displayed in the screen. The second feature is the reverse feature and if you press this button, the machine will instantly reset for three minutes. This feature can only be found on selected pubs or clubs. The rest of the button below are used to the amount of bet per spin remember. All of these buttons can activate the reel to spin when pressed. There is no specific buttons in pokies that can only spin the reel alone. The five buttons are also used for choosing red or black on the reel. Remember, it is essential that you will first choose your bet on the line before you select the total amount of line that you will bet on. All the buttons bellow will automatically spin the reel once pressed. Generally, those customers who visit casinos personally get more benefits compared to those who play online. But in All Slots both mobile, online and offline customers has the same benefits. All costumers are entitled to avail or have promotional benefits when they play at All Slots Casino online, mobile or in the casino. There are also many different rewards that the customers of Spin Palace can have. Mobile and online players can have the same rewards as players inside the casino. All the customers of Spin Palace may get gifts, cash rewards and VIP status when they play in the Spin Palace Casino. At Jackpot City, the customers can have NZ$ 500 reward for free by just signing up in their online casino. This reward make Jackpot City one of the most visited and played online casino. Also, they have different types of jackpots and cash rewards that customers may obtain by just playing their mobile and online casino.